24 On the first day of the week, very early in the morning, the women took the spices they had prepared and went to the tomb. 2 They found the stone rolled away from the tomb,3 but when they entered, they did not find the body of the Lord Jesus. 4 While they were wondering about this, suddenly two men in clothes that gleamed like lightning stood beside them. 5 In their fright the women bowed down with their faces to the ground, but the men said to them, “Why do you look for the living among the dead? 6 He is not here; he has risen! Remember how he told you, while he was still with you in Galilee: 7 ‘The Son of Manmust be delivered over to the hands of sinners, be crucified and on the third day be raised again.’ ” 8 Then they remembered his words. As you may recall, the NC unemployment data for January was released about a week ago. On March 28, 2013 the unemployment figures for February 2013 were released by the NC Department of Commerce. The NC report as well as media reports from NC fail to mention the drop in the Labor Force Participation Rate. That failure will not be carried over here. From the Charlotte Observer March 28, 2013. “The state’s unemployment rate edged downward in February but remains just marginally better than it was a year ago. The seasonally adjusted unemployment rate across North Carolina fell one-tenth of a percentage point to 9.4 percent in February, according to data released Thursday by the state Commerce Department’s Labor and Economic Analysis Division. A year ago, the state’s jobless rate was 9.5 percent. Quinterno noted that since the beginning of 2012 the unemployment rate has moved up and down within a narrow band – never higher than 9.6 percent or lower than 9.4 percent. The state unemployment rate continues to lag the national rate of 7.7 percent. The number of unemployed workers in North Carolina totaled 446,840 in February. North Carolina added 3,300 jobs in February, a gain of one-tenth of a percent. The state lost 327,800 jobs between December 2007, the pre-recession peak, and February 2010, Quinterno said. Since then the state has added 209,500 jobs. It seems to me Charlotte Observer, et al in the media, that your readers should know that the Labor Force Participation rate in NC dropped .2 percent from January to February. It seems to me that they should also know. The Democrats took control of Congress in January 2007 and Obama, of course, took the White House in January 2009. Once again, as recently reported, that is an ugly picture and a picture is worth a thousand words. I am not preaching to the choir….necessarily. Today is Good Friday, March 29, 2013, the remembrance of the Crucifixion of Jesus, a punishment far more brutal than has been portrayed to most of us. We live in an Orwellian age of misinformation, secularism and attacks on Christianity. That is why the truth is so important about the essence of Christianity. Not necessarily what people say about Jesus and Christianity. But what Jesus said, did and endured. First from “The Case for Christ” by Lee Strobel. What struck me the most from the book, when I was first introduced to it years ago, was the fact that there is much historical evidence of the life of Jesus. “The documentary The Case for Christ follows reporter Lee Strobel as he interviews a number of religious and historical scholars in order to find out if there is any proof of the resurrection, and to discover the historical veracity of the New Testament. In trying the case for Christ, Strobel cross-examined a number of experts and recognized authorities in their own fields of study. He conducted his examination with no religious bias, other than his predisposition to atheism. Mark Antonacci, an attorney and agnostic and another author, became a believer after researching the Shroud of Turin. From the Amarillo Globe News April 14, 2001. “Mark Antonacci said he was a committed agnostic until he stumbled upon an article about a subject he would eventually spend nearly 20 years researching. Antonacci, a St. Louis lawyer, is author of “The Resurrection of the Shroud.” He spoke in a telephone interview about his book about the cloth that he and others believe wrapped the body of Jesus Christ. His book delves into questions about the wounds suffered by the man whose impression is on the shroud, the shroud’s history and scientific challenges to the carbon dating of the shroud. 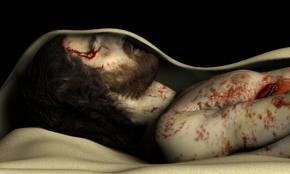 Now a Christian, Antonacci said much historical, medical and archaeological evidence exists to prove Christ’s death was consistent with Gospel accounts. The evidence he said he found changed his mind about God. “I came to the conclusion that the literal, actual crucifixion and resurrection of Jesus Christ occurred,” he said. So why did it take nearly two decades to publish his book? “I just had no idea the breadth of the evidence and the difficulty in finding a publisher,” said Antonacci, whose publisher is M. Evans and Company Inc. in New York. Even if you are a believer, you need to have a better understanding of the suffering that Jesus endured. Here is a small sample of the scourging impact revealed by the shroud. 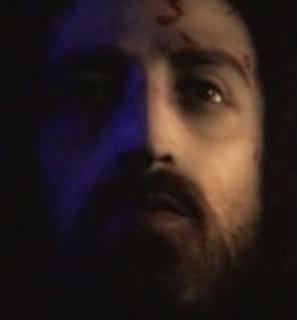 If you have not seen the History Channel documentary on the Shroud of Turin, I strongly suggest that you do. A sample from the show. Product and service price increases. From CNN Money March 29, 2013. “French President Francois Hollande made changes to his failed proposal for a 75% top tax rate on Thursday, shifting the burden of payment from individuals to businesses that pay salaries over 1 million euros. Hollande, during last year’s presidential campaign, proposed a 75% tax rate on individual income above 1 million euros. The controversial tax was rejected by France’s judiciary. Hollande said the measure is needed to ensure transparency at large corporations — the only businesses that can afford to pay employees so generously. From the BLS, Bureau of Labor Statistics, March 22, 2013. Employers took 1,422 mass layoff actions in February involving 135,468 workers as measured by new filings for unemployment insurance benefits during the month, the U.S.
February, 295 mass layoff events were reported in the manufacturing sector resulting in 39,407 initial claims. Monthly mass layoff data are identified using administrative data sources without regard to layoff duration." You have heard the excuses from Obama aided by the lies from the mainstream media. Obama blamed Bush for inheriting a mess even though he and his Democrat cronies and criminals helped create the mess. When Obama took the White House in January 2009, the Democrats had controlled both houses of Congress for 2 years and would do so for 2 more years until January 2011. The Labor Force Participation Rate for NC recently has been difficult to locate (I will find it.) The unemployment rate for NC and North Carolina counties for January 2013 was reported late in March. The percent of the population employed is another good indicator of the true employment picture. That is an ugly picture and a picture is worth a thousand words. In case you have been wondering why the latest NC unemployment rates have not been presented here, there is a reason. The unemployment rate in NC for January 2013 was just reported a few days ago. There was no report in February 2013. I still do not know why. Perhaps there was pressure to delay it. I can understand why. Thanks to the Greensboro News Record for reporting this and placing it at the top of Saturday’s, March 23, 2013 issue. From the Greensboro News Record electronic edition March 23, 2013.
struggle with a sagging economy. percent in January, according to figures released Friday by the N.C.
Rockingham County’s rate jumped from 10.8 percent to 11.7 percent. Randolph County’s rate was 11.1 percent, up from 9.6 percent in December. “Statewide, rates rose in each of the 14 metropolitan areas. year ago to 10.6 percent in January. Unemployment rates dropped in 30 counties compared to the same month last year. However, unemployment increased in 63 counties compared to a year ago. research firm, South by North Strategies. decreased demand for employees, Quinterno said. Here are the report schedules from the North Carolina Department of Commerce Division of Employment Security. Note there are non from February. From SBN Strategies March 22, 2013. Remember, these high unemployment rates do not include the thousands who have dropped out of the labor force. Finding a recent percent for this stat has been elusive recently but I will will find it. Stay tuned. Tagged Guilford from 9.6 to 10.3 percent, Jobless rate up in all 100 counties, March 2013 reports, NC unemployment rate rises in January, News Record headline, Why no Feb reports?